Yes, that's right folks! 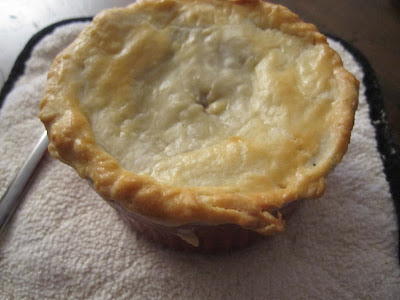 For those of you who don't know, I've been attempting these darn pies for a LONG time now... the first two attempts (which can be found here and here) were a huge success but not for the pie as a whole. 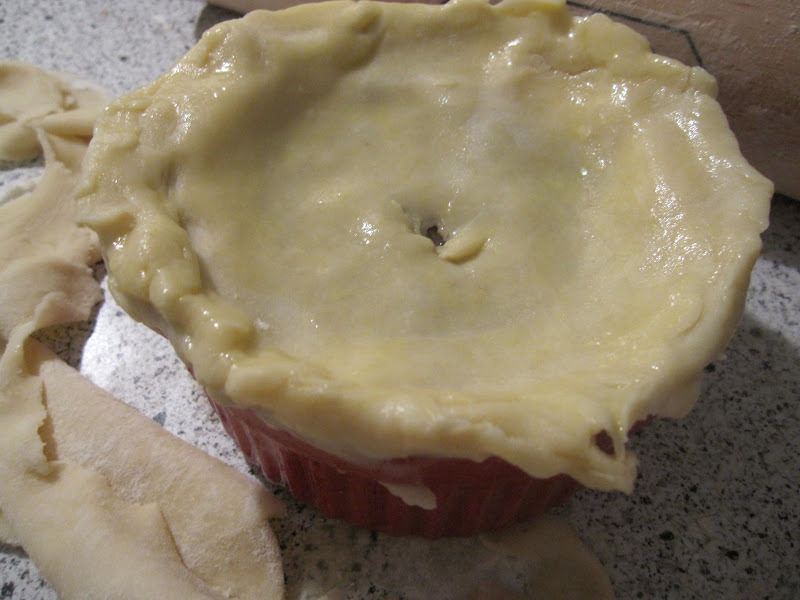 I got the shortcrust recipe right once, and I got the filling right once... well now I think I've really done it and figured out how to make the perfect Aussie meat pie. 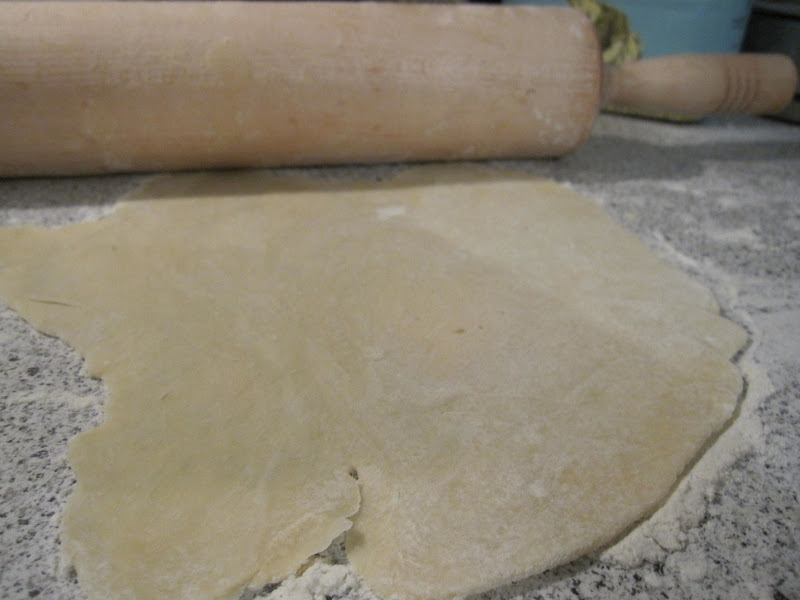 I used someone else's recipe (sort of) and discovered that IT is the perfect topping dough. 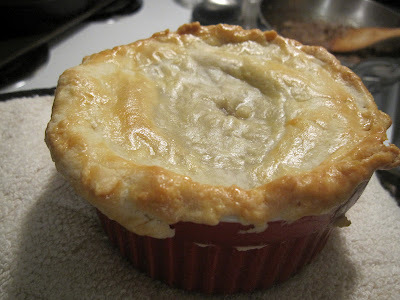 So, for this post I'll show you what I did, which was to use this new topping crust for the entire pie... but you should know right now that TOMORROW, when we make these things for REAL, I will be using my shortcrust recipe for the bottom, my filling recipe and this new hybrid recipe for the top! 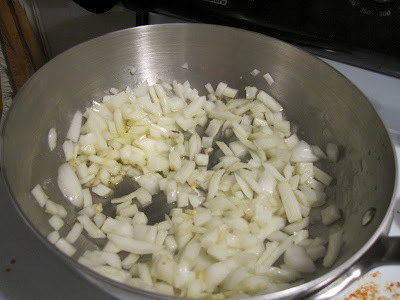 Start by sauteing your chopped onion and minced garlic in some olive oil. Once the onions start to turn translucent, add in the cup of water with the dissolved cornstarch and beef bouillon. Stir until it starts to form a little bit of a gravy. 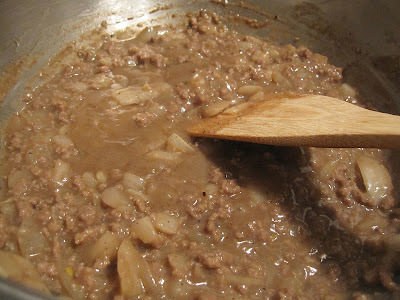 Add in your ground beef and let it get browned, making sure to press the meat with the back of your spoon assuring that it cooks through all over. When the meat is browned, add in the worcestershire sauce and season with black pepper. Stir on a nice low heat until the mixture is thickened and smelling amazing. Season to taste with more salt and pepper if necessary. 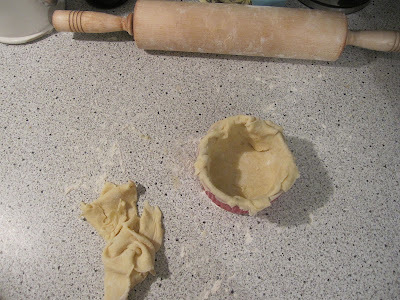 Mix together the flour and the pinch of salt in a small bowl. 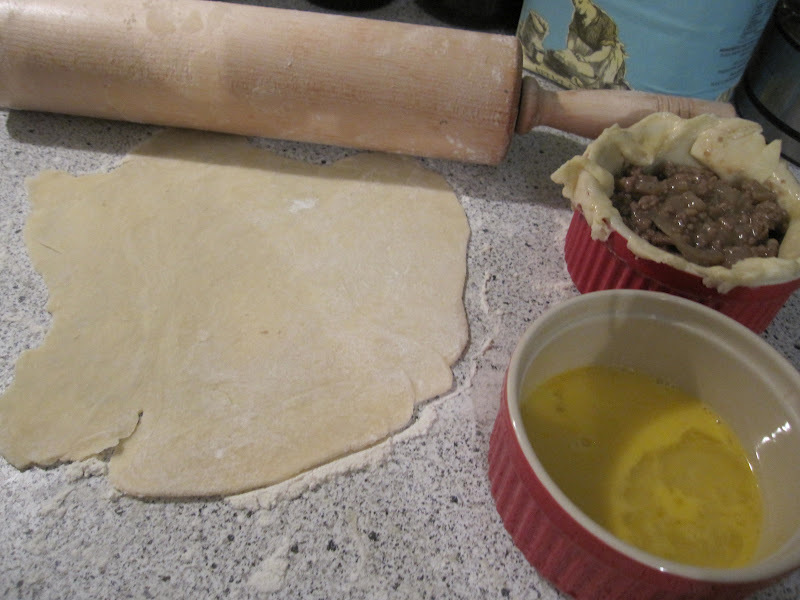 Then, slice the soft but still cold butter into small squares and drop it in the flour mixture. 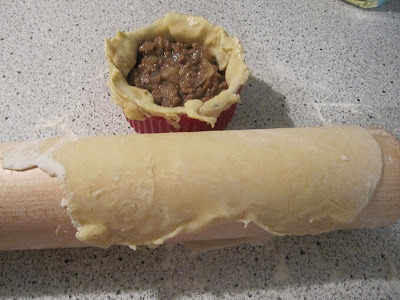 Mix it together with your fingers until crumbly. Then add the cold water one tablespoon at a time until the mixture just holds together. Let's roll it out! 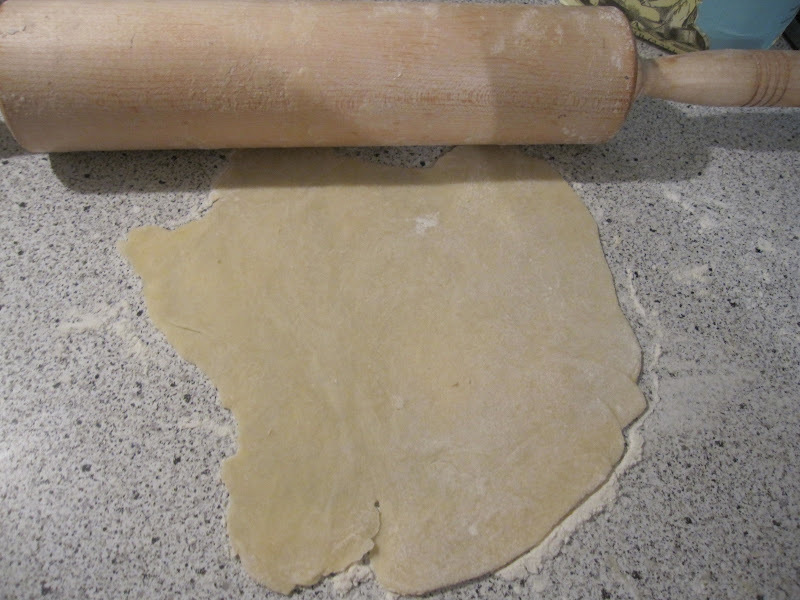 Flour your rolling surface and roll. Not too thin, not too thick. Gently lift and push your base into the dish. Then remove the excess edges with a knife or by gently tearing it and save that. It's going to be your top! Now your filling should be cool so go ahead and add that in! Not too much though, you don't want it to bubble over and out when it's baking. Crack an egg into a small dish, whisk it up and brush the egg wash all over the top edges of the crust. This will ensure that the top sticks to the base. 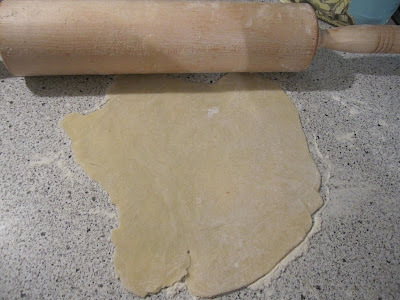 Once you've rolled out the excess trimmings of dough for your top (mind you, you'll want to roll it out thinner for a different topping texture and you'll need to really flour your surface again to keep from sticking), roll the dough onto the rolling pin so you can lift it and roll it back out on top of the pie. 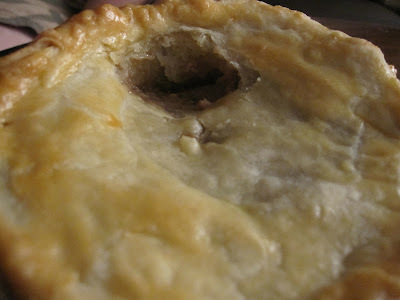 Pinch the edges together really well, as pie dough is finicky and tends to want to break open unless really pinched! 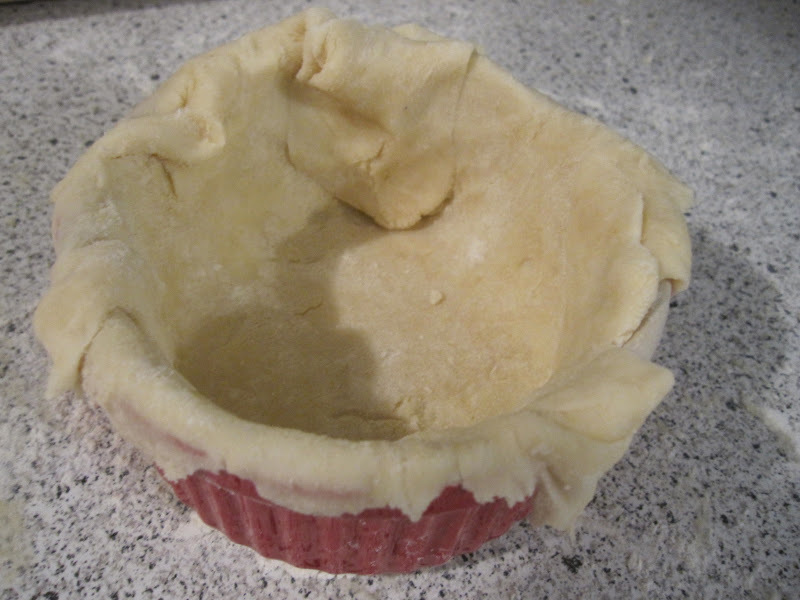 Wash generously over the entire top with the egg wash and tear a small opening in the center to let air escape while baking. 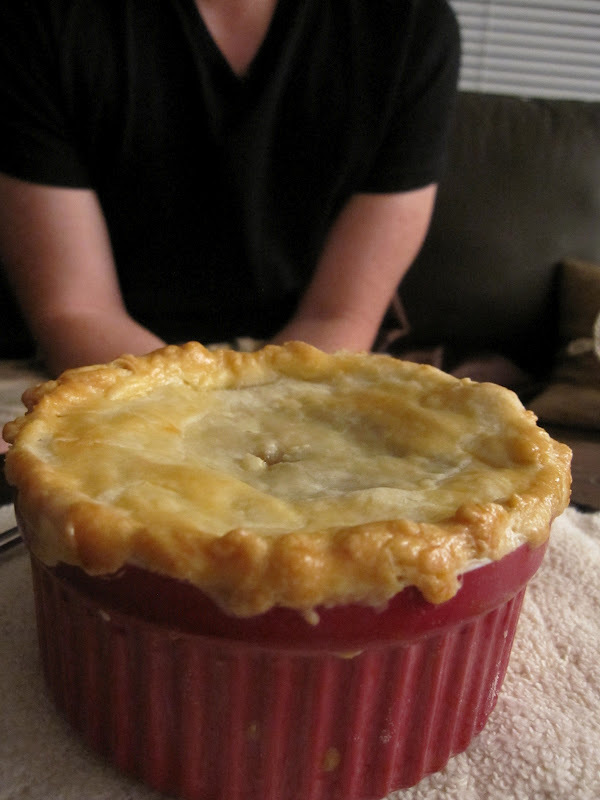 Bake for 20-30 minutes, depending on your oven and until golden brown and shining on top! Just be sure to watch carefully... you want it golden, not necessarily brown. And voila! You've got yourself a gorgeous, luscious, savory, "call your best friend and tell her you're emotional over how beautiful it is" meat pie. 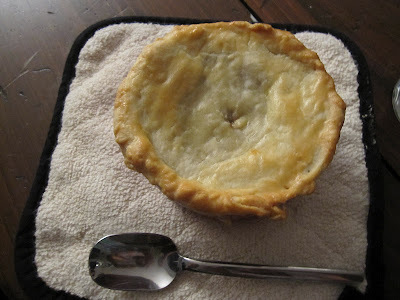 Look at that gorgeous, golden crust! And do you see that sheen? It's so fun to break into! There's the happy camper in the background there, ready to devour his pie! And yes, if you were wondering, this is part of our "what we bought, what we made" series. 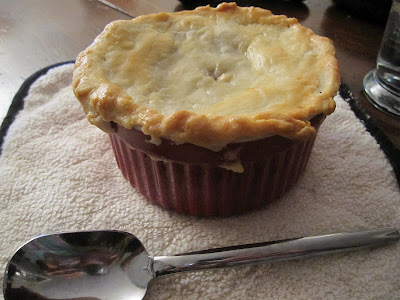 As wonderful and sumptuous as these adoring little pies are, they are SO inexpensive to make. So get out your flour and eggs and don't even think about making a sweet dessert tonight... turn on INXS and make yourself a savory meat pie instead! Not a bad idea jord!! i think i'll make that for myself next!! What size is your cute little pie dish? My highly carnivorous kids will love this!